With Christmas just around the corner, we thought we’d lend a helping hand by gathering up our must have items to make the perfect gift for the festive season ahead. Whether someone you know is a Red Carpet Manicure fanatic, or looking to start out on their own gel manicures at home, then we’ve got something for you! This Christmas we cannot get enough of our brand new It’s A Luxe Life Collection. The star of the show has to be our ultimate Train Case, complete with all you need to complete your new Red Carpet Manicure in the comfort of your own home, as well as nail art pieces, extra tools and accessories to make your manicure stand out. The Train Case is also the perfect way to store all your favourite Red Carpet Manicure shades! 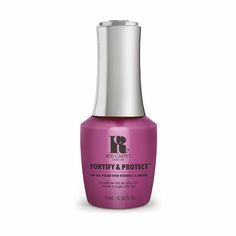 If someone you love is looking to start out with Red Carpet Manicure, then our It’s A Luxe Life Pro Kit is the perfect fit. It comes with all the essentials for application and removal for your gel manicures at home, as well as an exclusive festive shade A-Muse Me, a hot glittery pink, to get you started. All contained a gold carry case, the perfect festive touch. If you’re looking to add a little extra something to your Christmas list, then make sure it’s one of our It’s A Luxe Life Polishes! Packed with festive shades, from glitters to hot reds, this collection will make you manicure pop this Christmas. For the ultimate upgrade to your Red Carpet Manicure this Christmas, make sure you get your hands on our Salon Pro Light. With enough space to cure all five fingers or toes at once, this LED lamp offers you a faster curing time of 30 seconds and will make you the ultimate Red Carpet Manicure pro! What would Christmas be without a little nail art? Our Gems and Jewels Kit are packed with nail art accessories, our staple gel polishes and all the tools you need to create a stand out look. Which one will you choose? No Red Carpet Manicure is complete without the essentials. Our Must Haves Kit has everything you need to top up on nail care, application and removal staples, stocking you up for the busiest season! What better way to finish off a Red Carpet Manicure than with our range of nail art appliques? From jewels to creative designs, simply apply these to your desired look and seal in with your Brilliance Top Coat! Stuck for ideas? Opt for one of our Gift Cards so your loved one can top up on the essentials or colours they love this Christmas. Ranging from £20 to £50, it’s the perfect treat for the festive season. 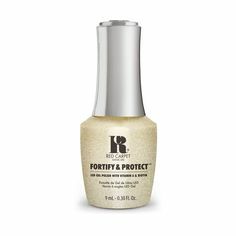 Don’t forget you can also find your Red Carpet Manicure favourites in one of our high street stockists this Christmas. Find your nearest store here! Keep up to date with all our latest must haves over on our Facebook, Twitter, Instagram and Pinterest!